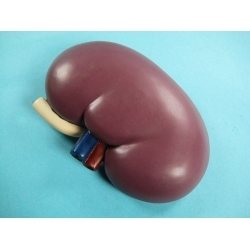 This dissection model is 2x life-size of a human kidney model and is sectioned longitudinally to show the renal artery and vein, pyramids, pelvis major and minor calyxes, cortexes and inter-lobar vessels. 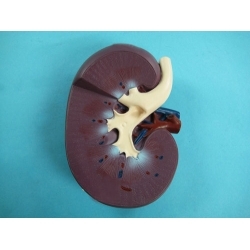 This provides a fantastic opportunity to learn and study the human kidney. 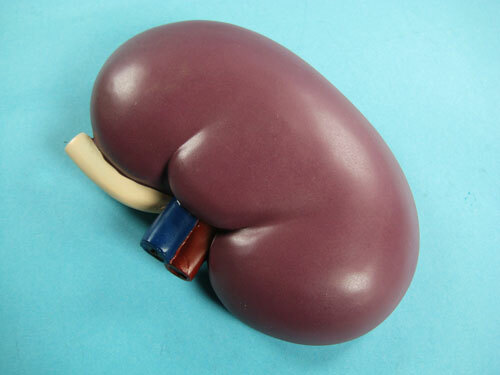 This model is hand painted to bring out the most intricate details. A detailed key card is also included. Made of heavy duty plastic for years of learning. Dimensions: 7 ? inches in length.